The PPPDE superfamily (after Permuted Papain fold Peptidases of DsRNA viruses and Eukaryotes), consists of predicted thiol peptidases with a circularly permuted papain-like fold. 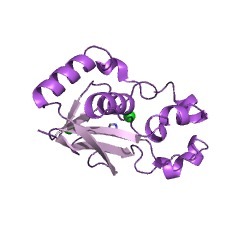 The inference of the likely DUB function of the PPPDE superfamily proteins is based on the fusions of the catalytic domain to Ub-binding PUG (PUB)/UBA domains and a novel alpha-helical Ub-associated domain (the PUL domain, after PLAP, Ufd3p and Lub1p) (PUBMED:15483401). The PPPDE superfamily (after Permuted Papain fold Peptidases of DsRNA viruses and Eukaryotes), consists of predicted thiol peptidases with a circularly permuted papain-like fold. 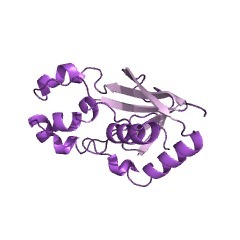 The inference of the likely DUB function of the PPPDE superfamily proteins is based on the fusions of the catalytic domain to Ub-binding PUG (PUB)/UBA domains and a novel alpha-helical Ub-associated domain (the PUL domain, after PLAP, Ufd3p and Lub1p) [(PUBMED:15483401)]. There are 4571 DUF862 domains in 4569 proteins in SMART's nrdb database. Taxonomic distribution of proteins containing DUF862 domain. This tree includes only several representative species. The complete taxonomic breakdown of all proteins with DUF862 domain is also avaliable. Click on the protein counts, or double click on taxonomic names to display all proteins containing DUF862 domain in the selected taxonomic class. Novel predicted peptidases with a potential role in the ubiquitin signalingpathway. A multi-pronged strategy including extensive sequence searches, structuralmodeling, and analysis of contextual information extracted from domainarchitectures, genetic screens, and large-scale protein-protein interactionanalyses was employed to predict previously undetected components of theeukaryotic ubiquitin (Ub) signaling system. Two novel groups of proteins that arelikely to function as de-ubiquitinating and de-SUMOylating peptidases (DUBs) wereidentified. The first group of putative DUBs, designated PPPDE superfamily (afterPermuted Papain fold Peptidases of DsRNA viruses and Eukaryotes), consists ofpredicted thiol peptidases with a circularly permuted papain-like fold. Theinference of the likely DUB function of the PPPDE superfamily proteins is basedon the fusions of the catalytic domain to Ub-binding PUG (PUB)/UBA domains and a novel alpha-helical Ub-associated domain (the PUL domain, after PLAP, Ufd3p andLub1p). The presence of the PPPDE superfamily proteins in most eukaryoticlineages, including basal ones, such as Giardia, suggests a role indeubiquitination of highly conserved proteins involved in key cellular functions,such as cell cycle control. In addition to eukaryotic proteins, the PPPDEsuperfamily includes predicted proteases from several groups of double-strandedRNA viruses and one single-stranded DNA virus. The apparent recruitment of DUBsfor viral polyprotein processing seems to represent a common theme in evolutionof viruses. The second group of putative DUBs identified in this study is the WLM(Wss1p-like metalloproteases) family of the Zincin-like superfamily ofZn-dependent peptidases, which are linked to the Ub-system by virtue of fusionswith the UB-binding PUG (PUB), Ub-like, and Little Finger domains. Morespecifically, genetic evidence implicates the WLM family in de-SUMOylation. Ifvalidated experimentally, the WLM family proteins will represent the first caseof a Zincin-like metalloprotease involvement in Ub-signaling.